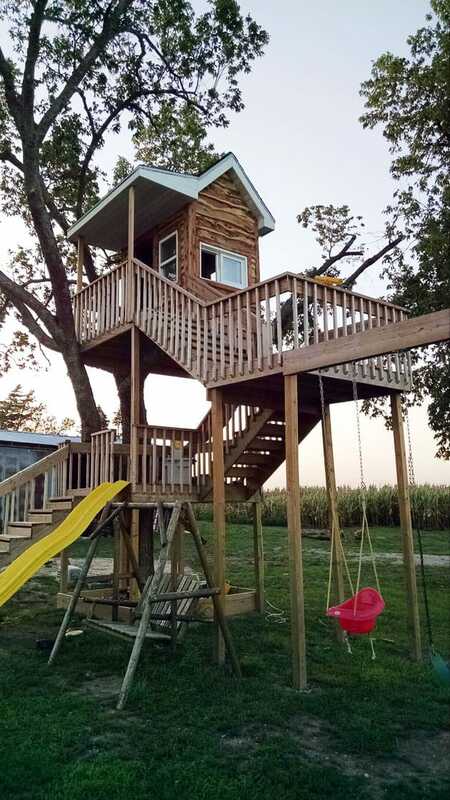 A reader just sent over an awesome treehouse his son-in-law built for his family. Thanks for sharing Galen! Here’s what he says. Our son-in-law and our daughter, Koertland and Rebekah, have three boys, age 7, 2 1/2 and 1 1/2. 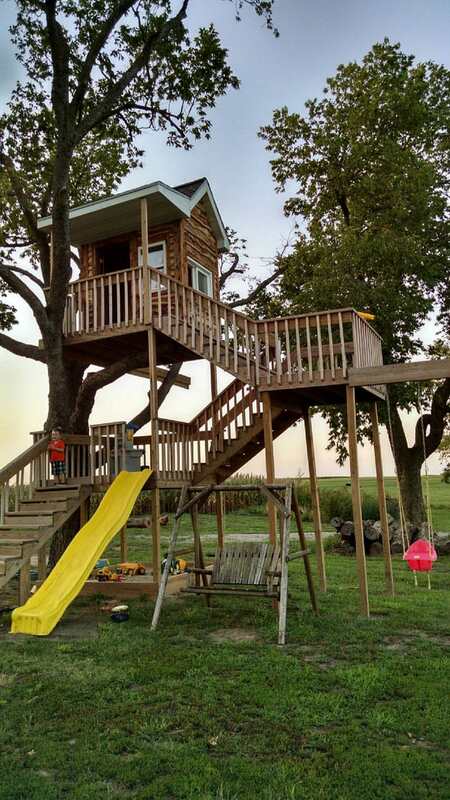 Koertland enjoys construction projects and built this multi-level tree house for their boys. 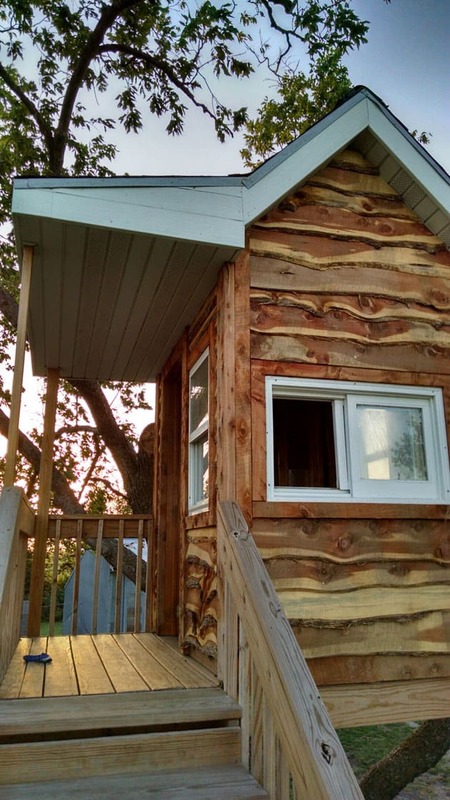 The actual house on the top deck has 4 windows and a door c\with home-sawn cedar siding from their grove. The second level is an observation deck complete with telescope. The first level is large enough for a small table for an outdoor picnic and also accesses a slide. The frame extends out far enough to accommodate three swings. The ground floor has a sandbox under the first level. The boys and their friends enjoy playing in the tree house and even entice grandpa to join them in their activities.